St. Patrick is the patron saint and national apostle of Ireland. He was born in the fourth century and is famous for bringing Christianity into Ireland. St. Patrick’s Day falls on the 17th of March. Every year on March 17, the Irish and the Irish-at-heart across the globe observe St. Patrick’s Day. 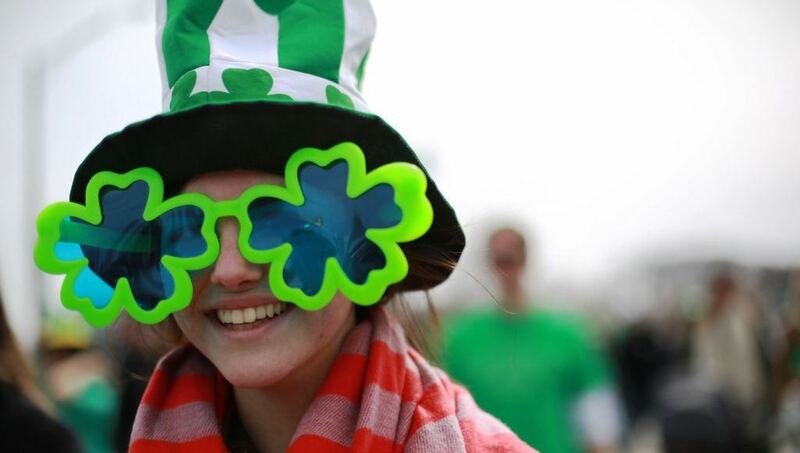 What began as a religious feast day for the patron saint of Ireland has become an international festival celebrating Irish culture with parades, dancing, special foods and a whole lot of green. He hasn’t kissed his wife in 20 years but he will kill any man who does! The Chicago River was turned green as part of annual St. Patrick’s Day celebrations in the US. The day’s traditions drew crowds of people dressed in green to watch the dyeing of the river and the St. Patrick’s Day Parade. As many as a million people were estimated to have attended the 59th annual event. 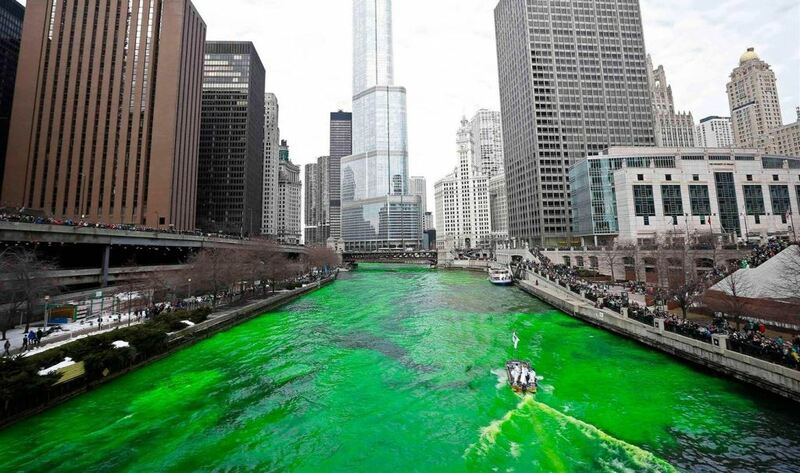 A modern day miracle occurs each year as part of the St. Patrick’s Day Parade celebration when the Chicago River turns an incredible shade of Irish green. This spectacular transformation ranks right up there with the parting of the sea by Moses and the Pyramids of Egypt.